There’s meaning in a feeling – like crashing waves at the beach, or a warm gust of wind in summer, or a sound. We let these stimuli wash over us, engulf us in their presence, and the result can be anything from a euphoric out-of-body calm, to an unprecedented connection to our inner depths. Dark and dreamy, Fawns of Love’s “Silly Boy” captures turmoil through impenetrable sonic textures and emotionally thick lyrics, throwing listeners into a musing daze of shoegaze wonder. Atwood Magazine is proud to be premiering “Silly Boy,” the debut single off Fawns of Love’s upcoming debut album Who Cares About Tomorrow (independently released March 3, 2017). 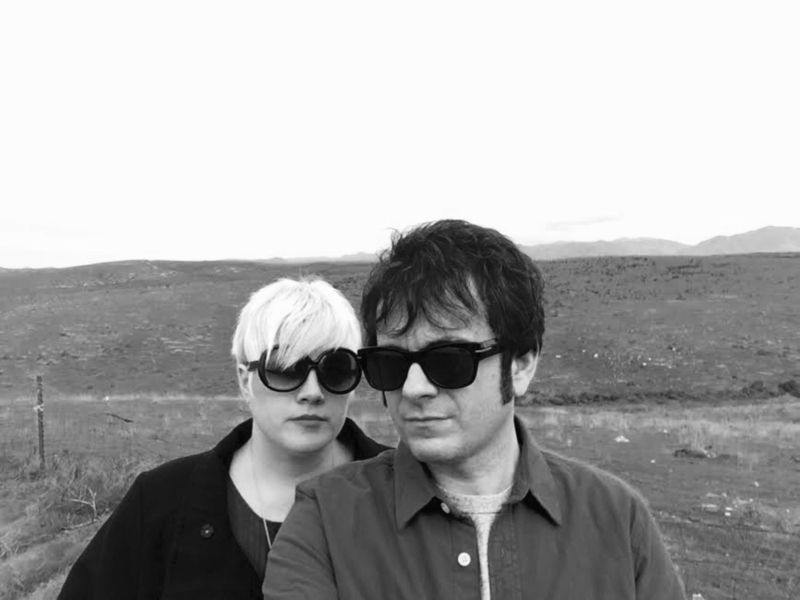 Based in Bakersfield, California, the husband-and-wife duo of Joseph and Jenny Andreotti have been making music together for over a decade, recording and touring through other monikers (such as Funeral Club and Peppermint Kisses), and releasing records with RCRD LBL and Plastiq Musiq, among others. 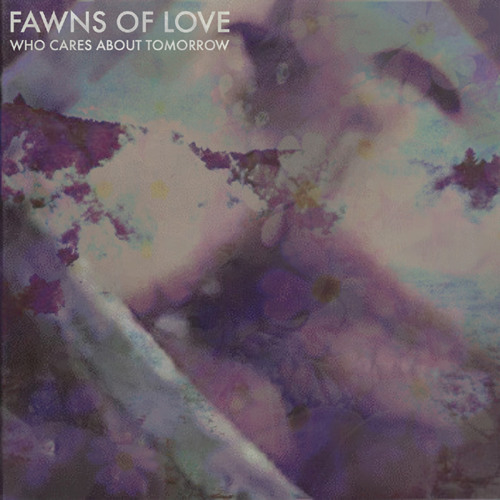 The latest iteration of their musical forays is as freshly adventurous as it is rooted in their past: Fawns of Love’s debut is deeply rooted in ’80s and ’90s shoegaze, taking a page out of the experimental ‘indie’ notebook that seems to never grow old. You let her walk away didn’t you? Fawns of Love want you to escape into their dreamscape; from the moment “Silly Boy” begins, there is no silence. Instead, the wall of sound washes over us again, and again, and again – filling our ears until we drown in an aural immersion. Some readers/listeners may identify as the “melancholy girl” in this situation, whilst others (this writer included) may identify with the “silly boy.” Emotions do not always translate between two parties; no matter how much you love someone, you may never truly understand how they feel, and they may never truly understand you either. Try as we might, we are all separate and individual beings. “Silly Boy” acknowledges the distance inherit in even the closest of couples in a vulnerable and honest fashion. Andreotti’s lyrics feel mildly tongue-in-cheek, but that is all up to interpretation: No matter how you slice it, this song come from the core. For Jenny Andreotti, she succeeds at writing the type of love song she thinks a woman would want written about her – “Still sexual, but less obvious, and not demeaning,” she describes. It may or may not be unconditional love; it may or may not mean loving someone in spite of, or despite their faults. It does not matter; “Silly Boy” captures a romance that is not seen on screen. It is a feeling that many can relate to, yet few can succinctly describe; through capturing a feeling, Fawns of Love evoke that meaning without wasting their breath. “Silly Boy” boasts an unfathomable sadness, the sort of fog that will not clear easily, and yet it acknowledges the presence of light and warmth: of love. Look out for more from the Bakersfield couple in advance of March 3rd’s release of their promising debut, Who Cares About Tomorrow. For now, familiarize yourself with Fawns of Love through Atwood Magazine’s exclusive stream: Heavy and brooding in the best possible way, “Silly Boy” is perfect for a moment of sincere reflection.